At Who What Wear UK, we always strive to tell you about the next big trends ahead of time. That's why we created Microtrend Monday, your weekly alert to let you know the items and styling tricks that are suddenly taking off. Anyone who's been in a high-street shop over the past few months knows that big earrings (the lobe-ache–inducing kind) are having a moment. But there's one niche type of earring that is set to be everywhere for spring: Bold '80s-inspired heart-shaped statement earrings. This is all thanks to Alessandra Rich's Crystal Heart Earrings With Pearl Clip (£190), which feature faux-pearls and oversize shoulder-grazing crystal hearts. Though they won't be available to purchase until spring, we've already got our eyes on them. A number of our Instagram favourites have already got their hands on these earrings and have been styling them in a number of ways. While we wait for our chance to buy them, keep scrolling to shop our edit of the best heart-shaped earrings. 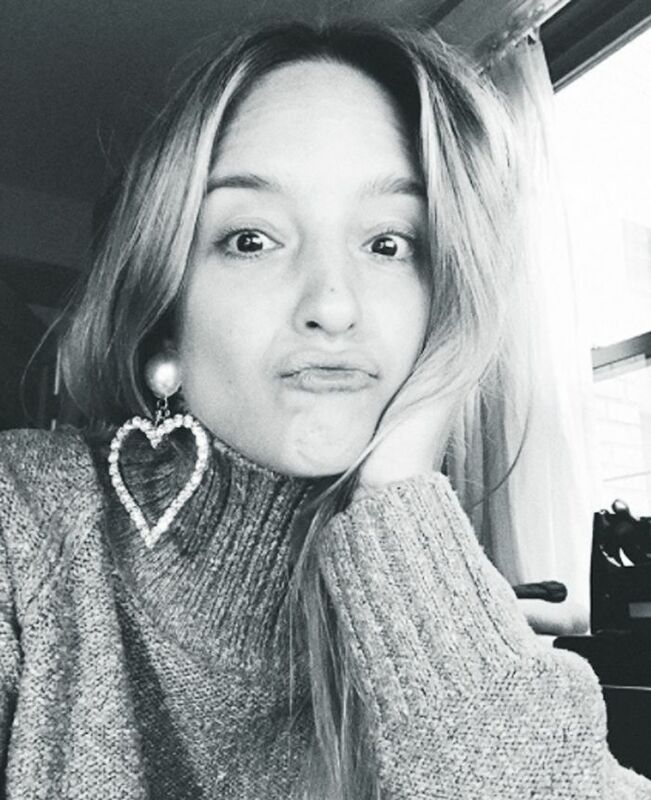 Charlotte Groeneveld wore her Alessandra Rich earrings with a chunky knit, proving that these aren't just party earrings. Lisa Aiken paired her hearts with a white T-shirt and black blazer. Caro Daur took a bold approach to accessorising by pairing her earrings with stacked necklaces and an eyeglass chain.